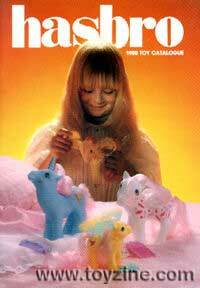 Hasbro's 1988 international retailer catalogue was brimming with Ponies... and why not? They were at their pseudo-equine peak with fans. The super-cutesy Summer Wing range shown here are a very hard find today, with current MIB resale prices soaring at $150 and up... if you can find them. 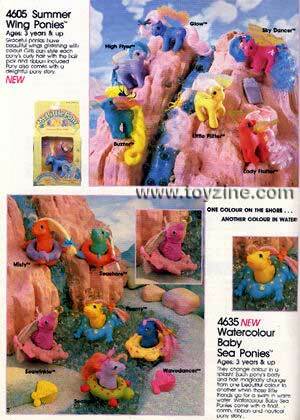 Watercolour Baby Sea Ponies are equally sweet and financially neat, especially with the box.